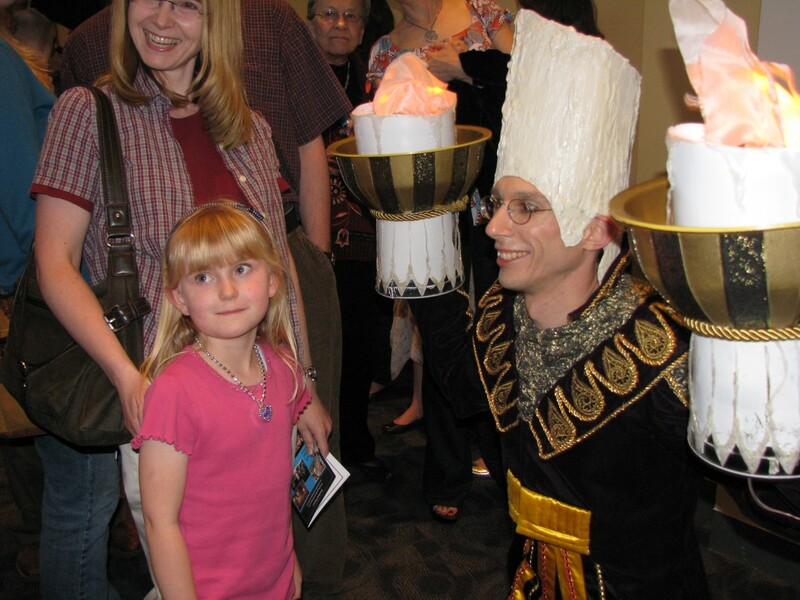 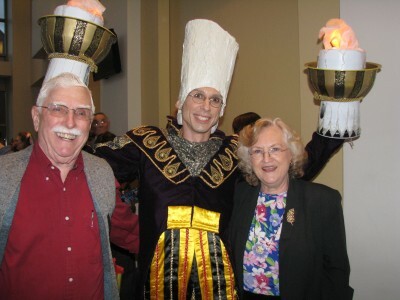 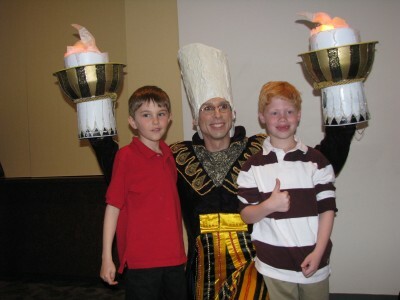 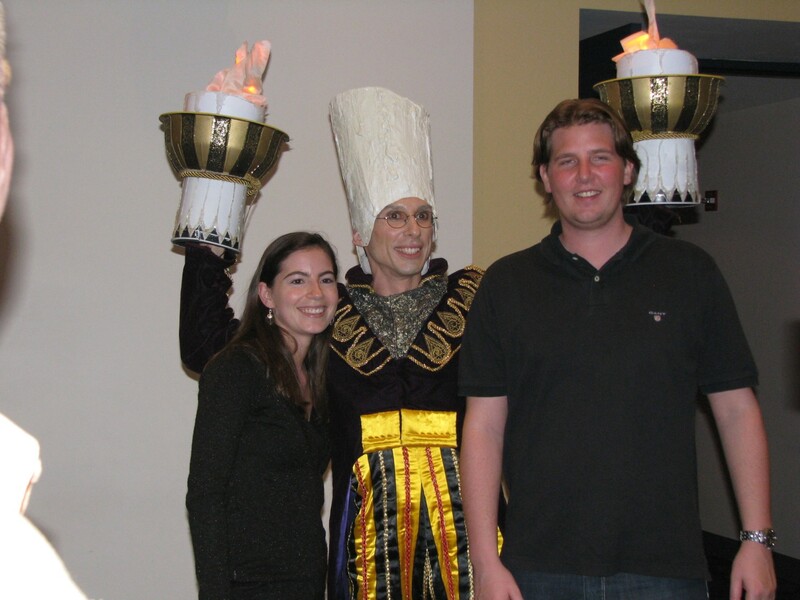 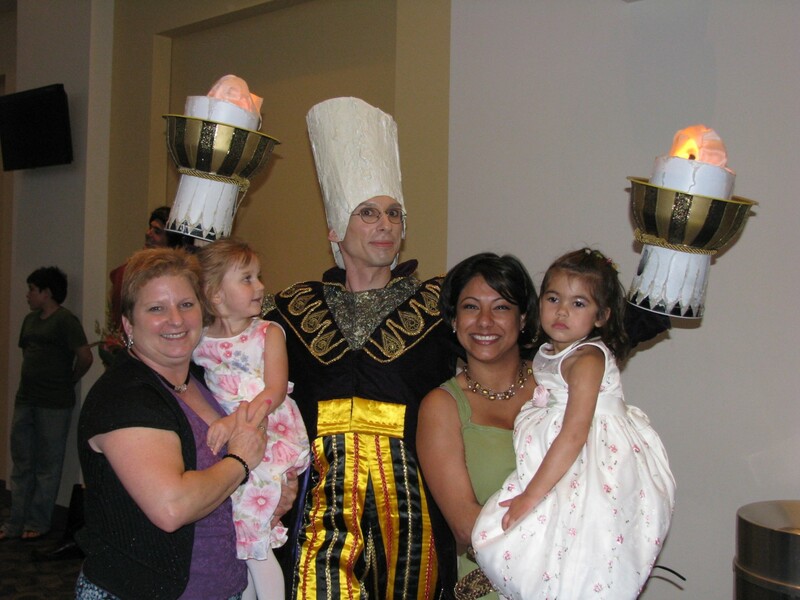 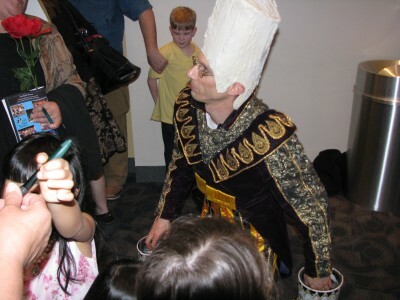 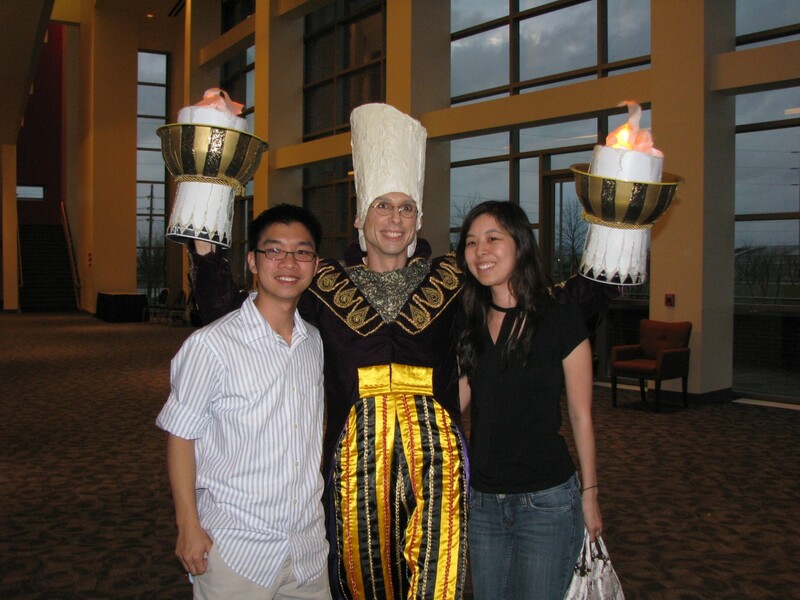 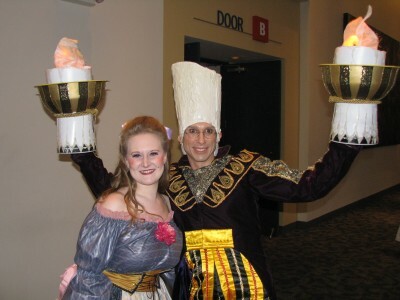 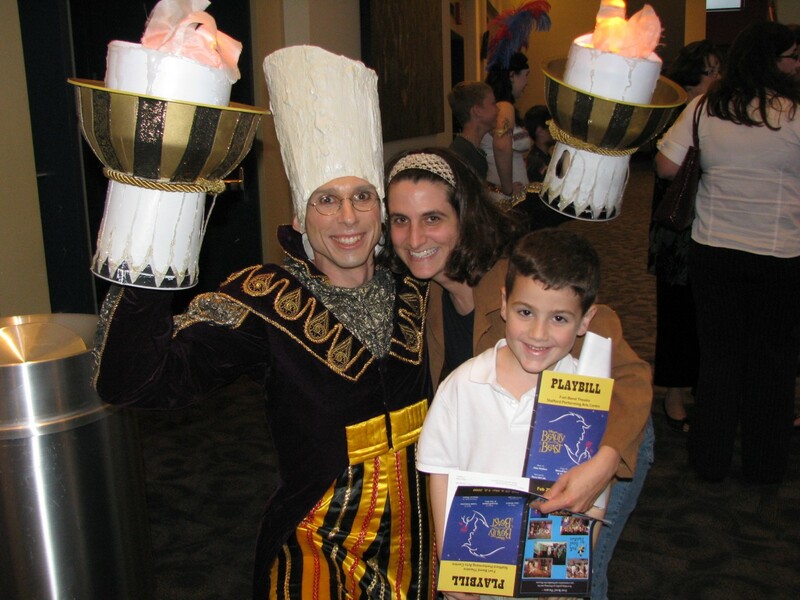 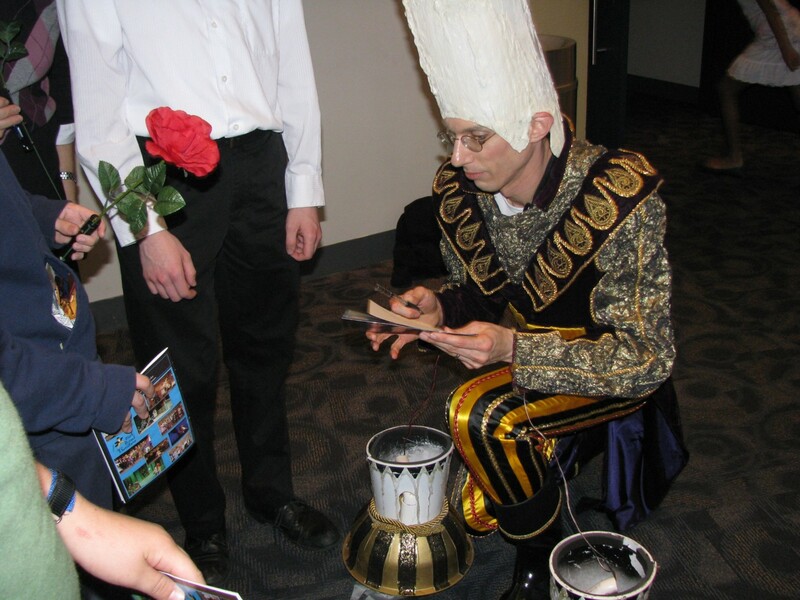 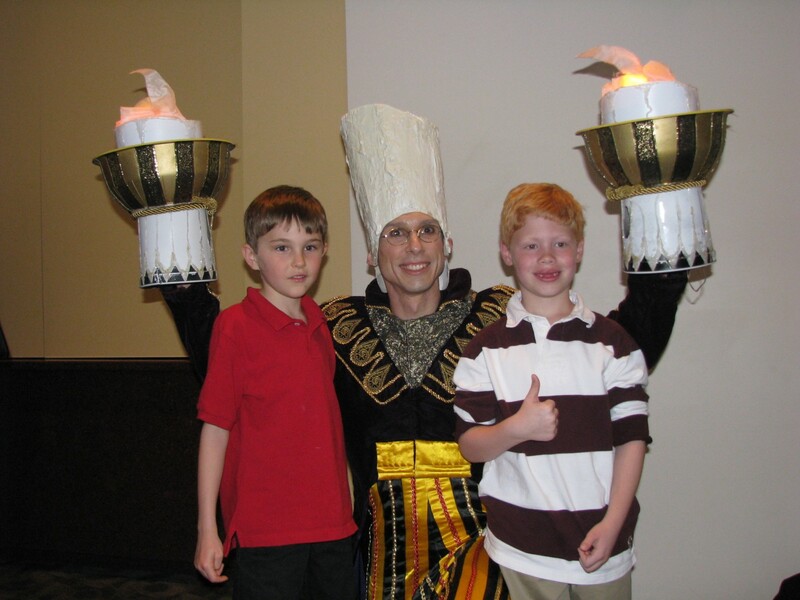 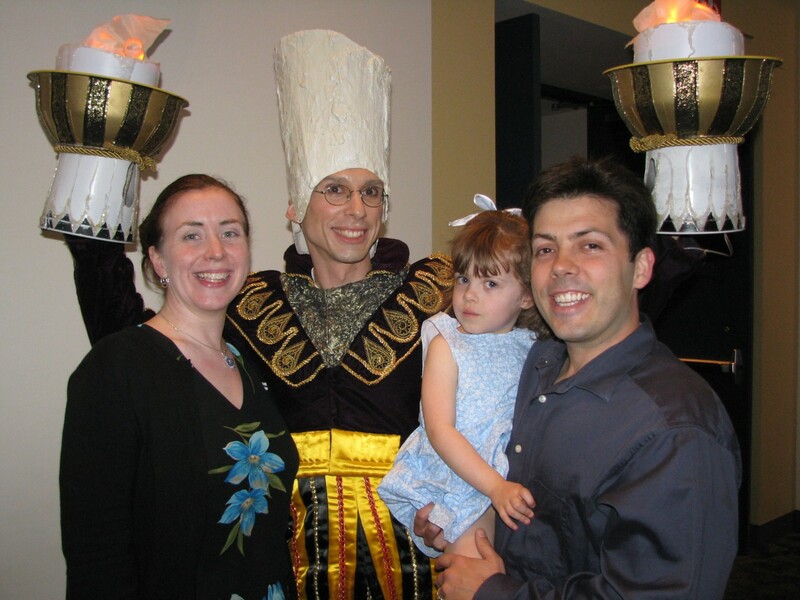 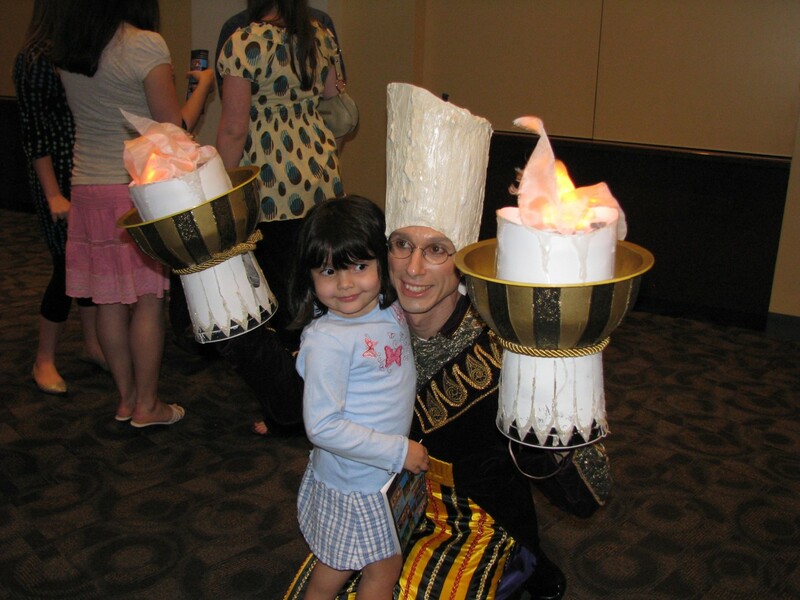 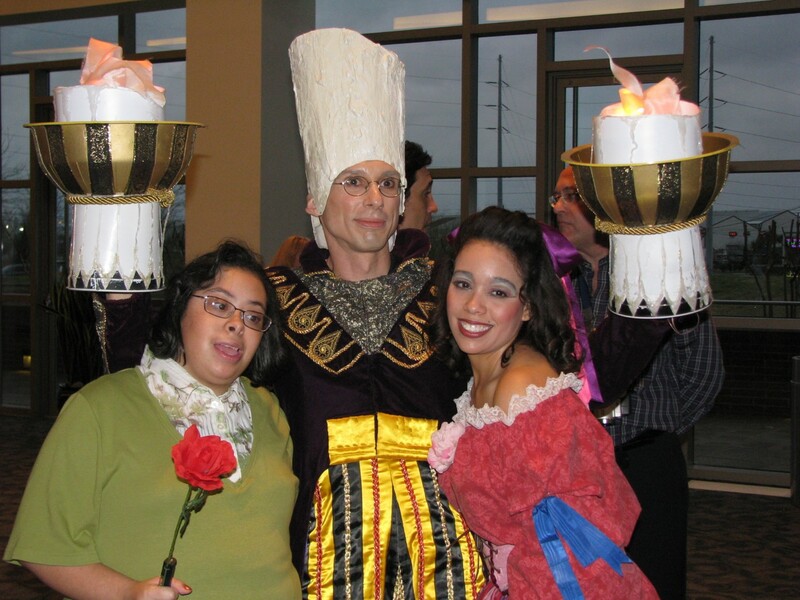 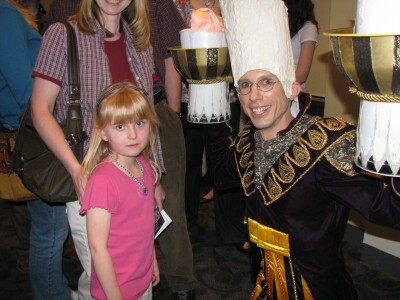 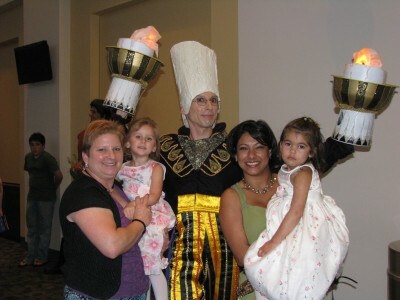 After the final show, I went to the lobby in full candle costume and took pictures with audience members. 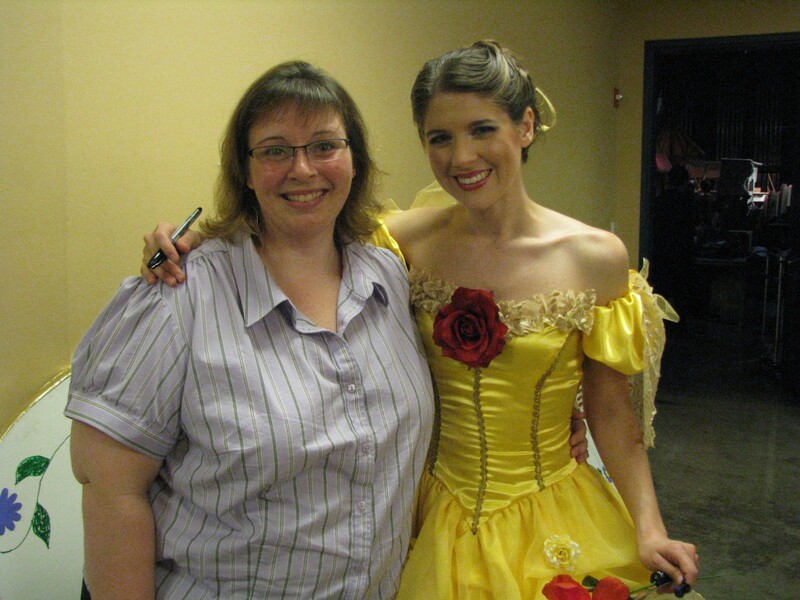 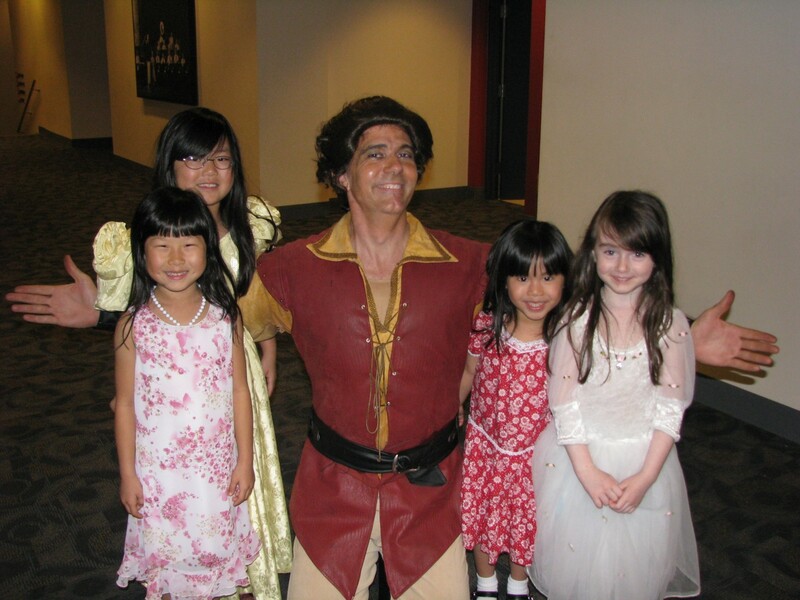 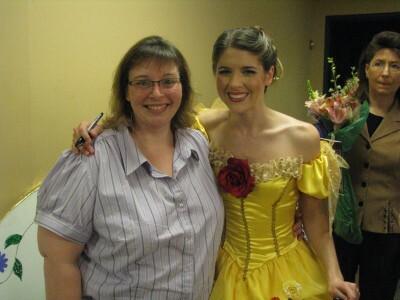 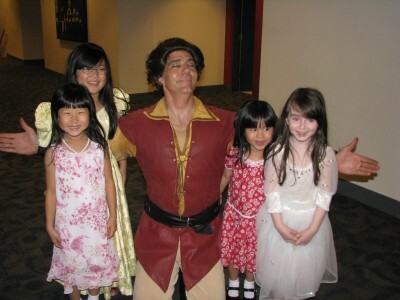 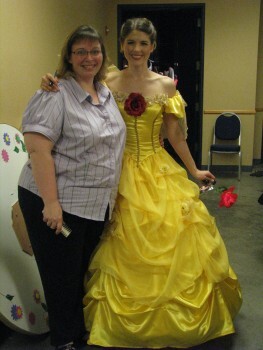 There were a number of girls who dressed as Belle. 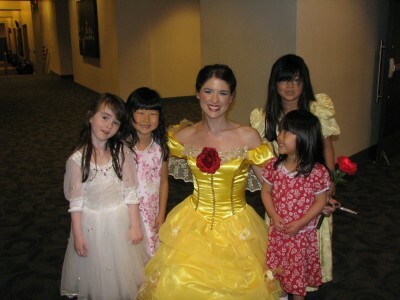 They were mostly interested in having their pictures taken with Belle. 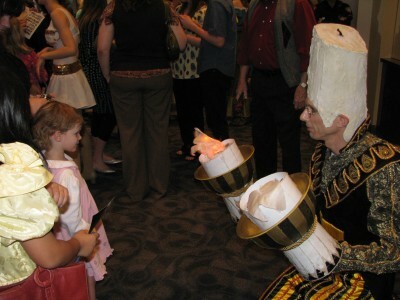 Some of the kids were afraid of my candle-hands. 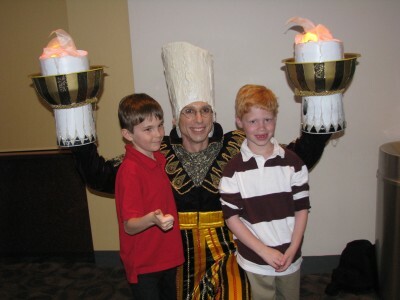 I tried to show them that there's no real fire, just lights, a fan, and some fabric. There were a few people who didn't have cameras, or their cameras weren't working. 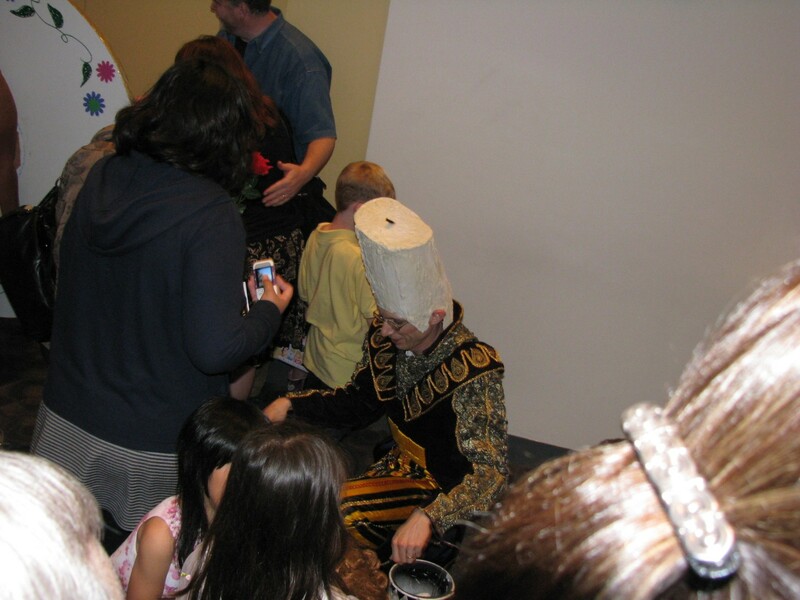 Shelly took pictures for them to pick up here. 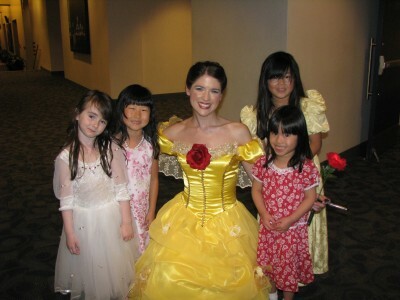 Each image is a link to a picture suitable for printing.